Zanu-PF’s National Assembly candidate for Mwenezi East Cde Joosbi Omar has urged Zimbabweans to overwhelmingly vote for President Mnangagwa in the forthcoming elections, saying his track record shows beyond doubt that he has undying love for his motherland. Addressing thousands of Zanu-PF supporters at the commissioning of equipment he donated to members of Johane Marange Apostolic Church, who are into quarry mining in Neshuro, Mwenezi East, Cde Omar said President Mnangagwa made unparalleled sacrifices for Zimbabwe to be where it is today. Cde Omar said the Zanu-PF presidential candidate was a tried-and-tested revolutionary, who gallantly stood up against Rhodesian repression and faced the ultimate price of death at a young age. “We must go out in large numbers and vote for President Mnangagwa and Zanu-PF in the July 30 elections,” he said. “President Mnangagwa is our best foot forward, his love for his country is there for all to see. “He skipped the border as a young man and underwent military training before coming back to look at the Rhodesian Government in the eye. “He bombed a Rhodesian locomotive in Masvingo in a rare act of bravery. Cde Omar said Zimbabwe’s economy was on a growth trajectory, thanks to President Mnangagwa’s pro-business policies. 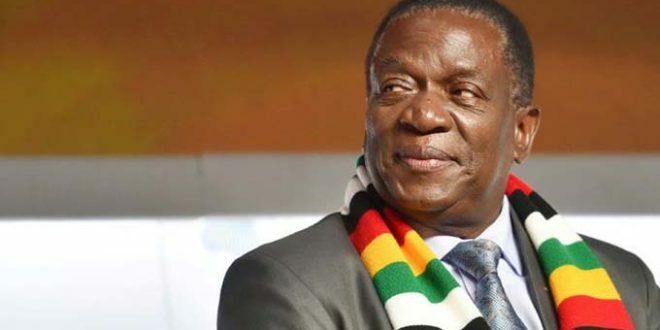 He said President Mnangagwa was spearheading efforts to revive the country’s economy and has been on a charm offensive to woo investors to the country through the “Zimbabwe is open for business mantra”. “President Mnangagwa is re-engaging the international community and his main focus is business for Zimbabwe,” said Cde Omar. Cde Omar pledged to continue spearheading development in Mwenezi East, saying his focus was to help communities start income-generating projects to boost incomes for women and youths in the constituency. He said his main focus was to develop the battered road network in Mwenezi East and sink more boreholes to improve potable water availability in the arid constituency. Cde Omar has also embarked on a hybrid goat breeding project that seeks to improve the quality of goats in the constituency with an eye on the export market. He also launched a carpentry project at Rutenga, where students on industrial attachment manufacture furniture for distribution in schools across the constituency. He donated a tractor, wheel burrows and other mining equipment worth more than $20 000 to the Johane Marange Church quarry mining project in Neshuro. The quarry mining project was initially started by female members of the apostolic church, but has since grown in membership after men and youths also joined the lucrative project that is expected to supply all the quarry needed for construction projects in the district.